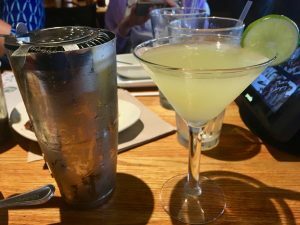 Prior to this particular visit to an Applebee’s, I had stopped for dinner at an Applebees on the way back from a road trip. 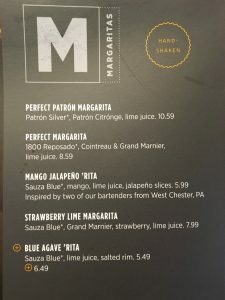 I noticed at the time that they were featuring a new Margarita selection menu. I didn’t take the time to compare the new varieties as I usually order the Perfect Margarita, but I did have a sip of another variety of Margarita a friend had ordered. 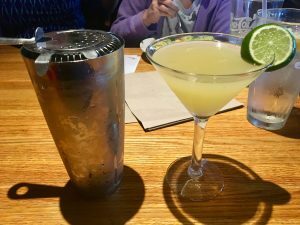 I thought the flavor was good, so the next chance I got to go to Applebees, I wanted to make sure to sample several of the new offerings. Plus it was almost my birthday, so I figured this was a good way to celebrate! 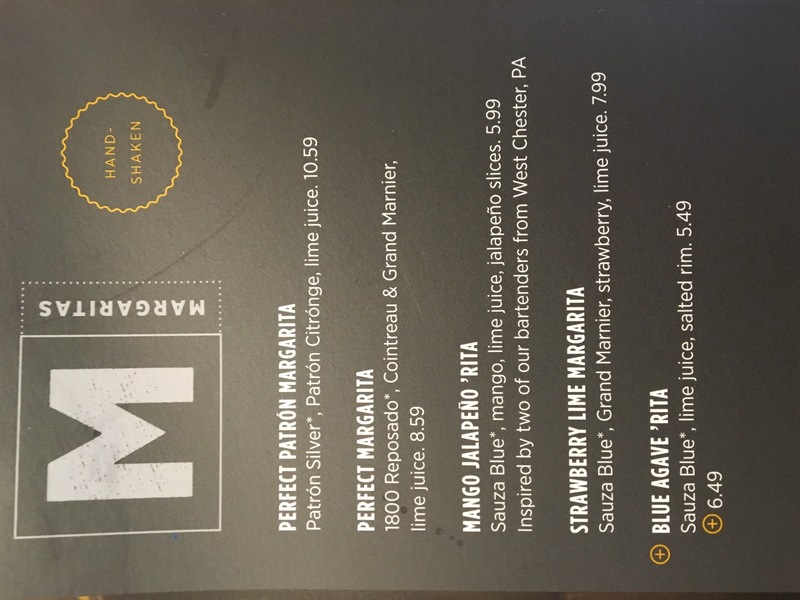 I first tried their Blue Agave ‘Rita, made with Sauza Blue tequila and lime juice. The ingredients sounded simple, so I was hopeful it would be a good Margarita. 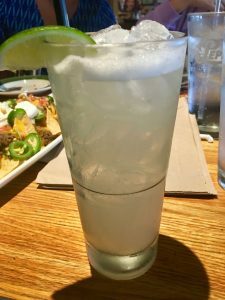 This was a flavorful drink with both sweet and tart components well balanced and decent tequila flavor. I felt it could have used a little more fresh lime flavor, but overall I would give it a 7.5 this day. 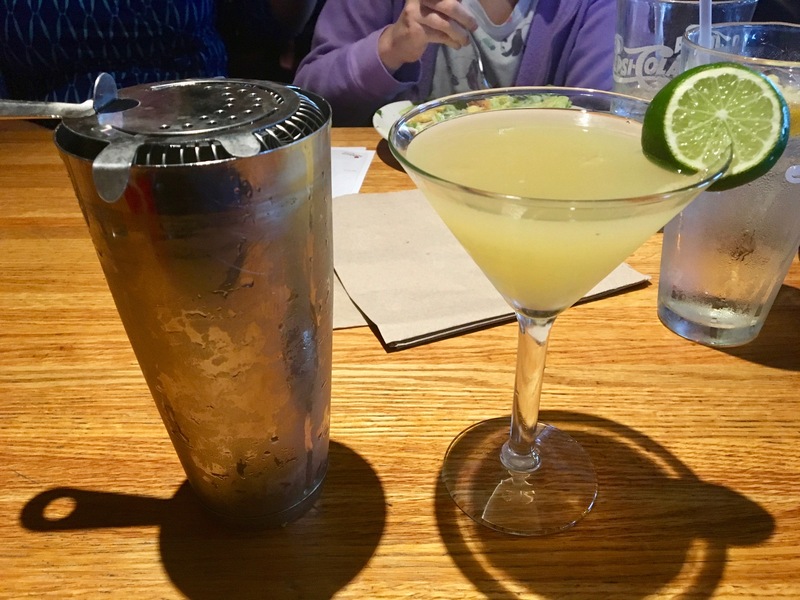 Margarita, the Patron version was a little smoother and not as acidic. I felt that it was a little better than the regular version and therefore would rate it an 8 for this visit.